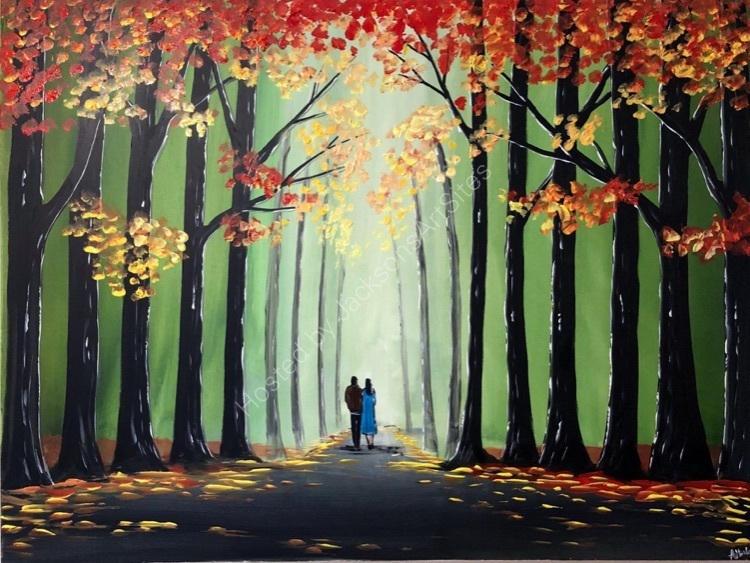 Autumn has arrived and the beautiful colours are changing on the leaves as a couple walk through autumn trees on a crisp Autumn day. This large painting carries on over the sides so it may be hung onto the wall without a frame. The painting has been varnished with gloss for protection and the canvas has been signed in the bottom corner by the artist. This painting will look stunning on the wall. The painting has wired at the back ready to be hung. The painting will be carefully packed into a custom made box and dispatched within 2 working days by a tracked courier service.